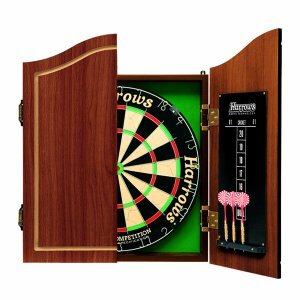 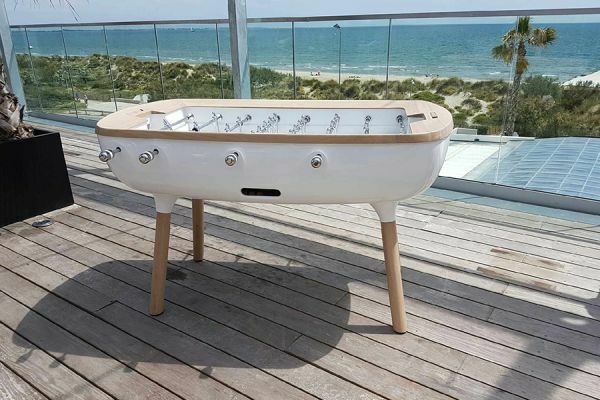 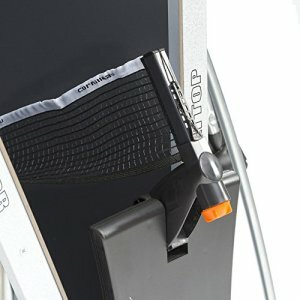 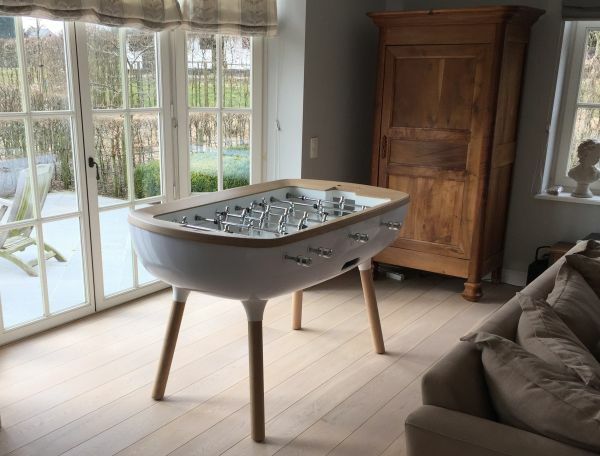 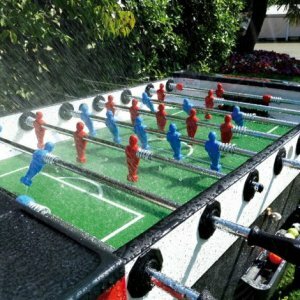 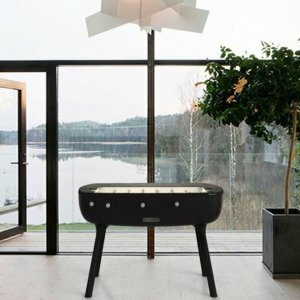 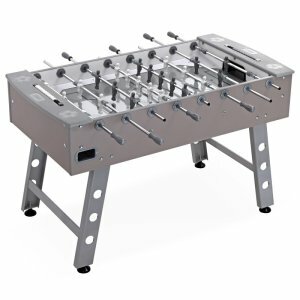 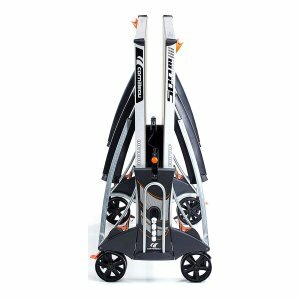 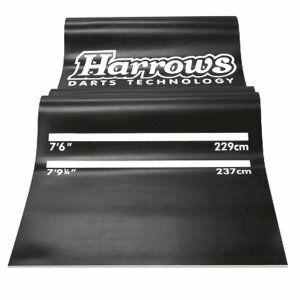 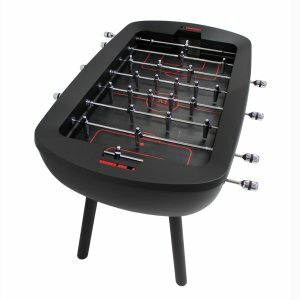 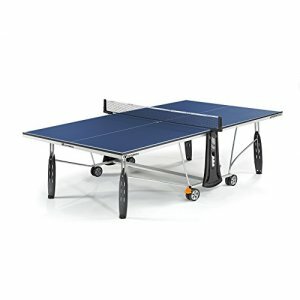 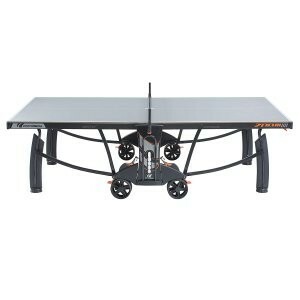 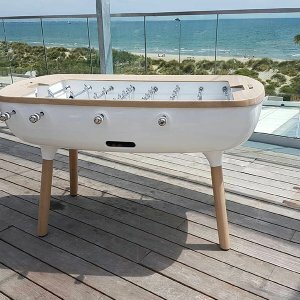 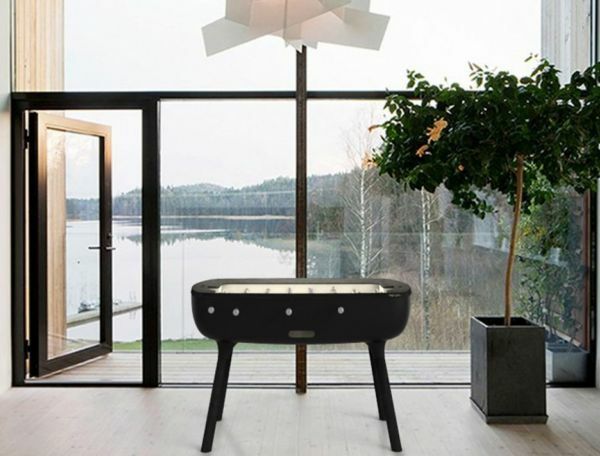 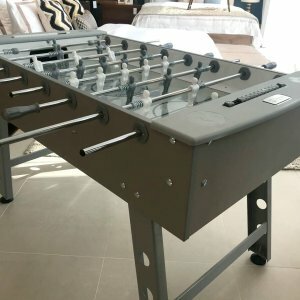 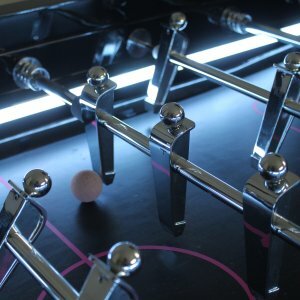 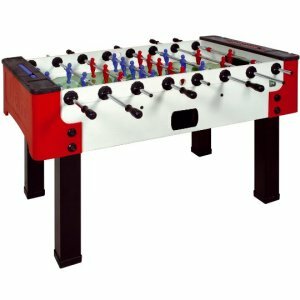 Categories: Foosball, game tables first line, Games Tables, Toulet. 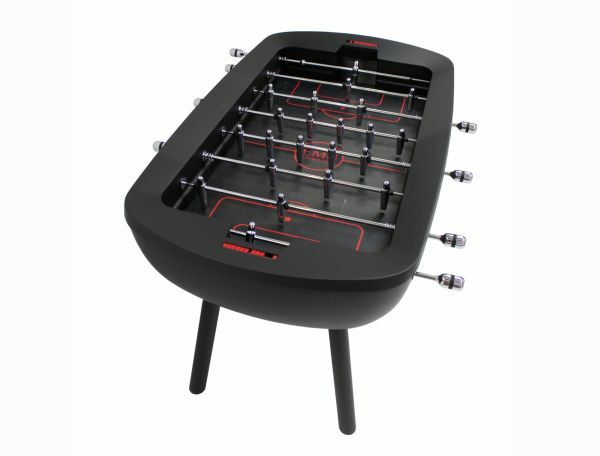 The design is to bridge with the world of football, see its shape as a stadium, seen from the sky. 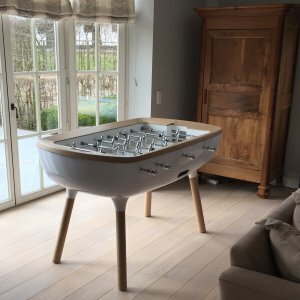 The softness of its curvaceous lines, the warmth of its wooden belt and its base, the deep color of its basin, the modernity of its handles, bars and chromed players, give it this purity that did not fail to suggest its name.